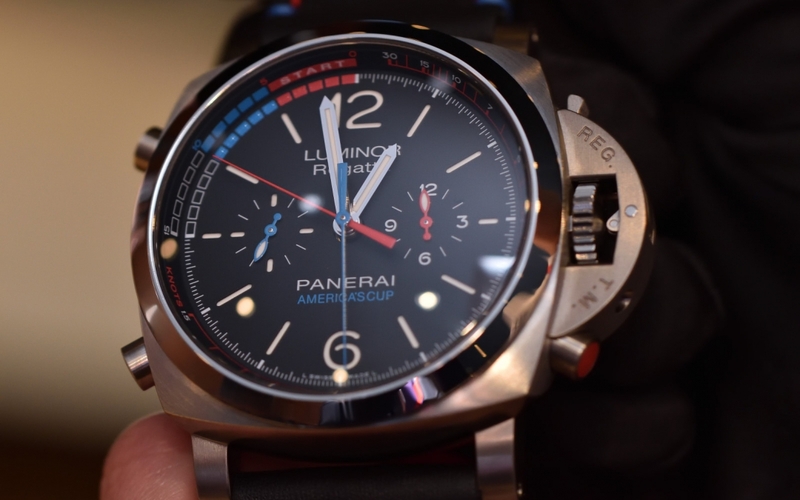 We observed two trends at Panerai during SIHH. 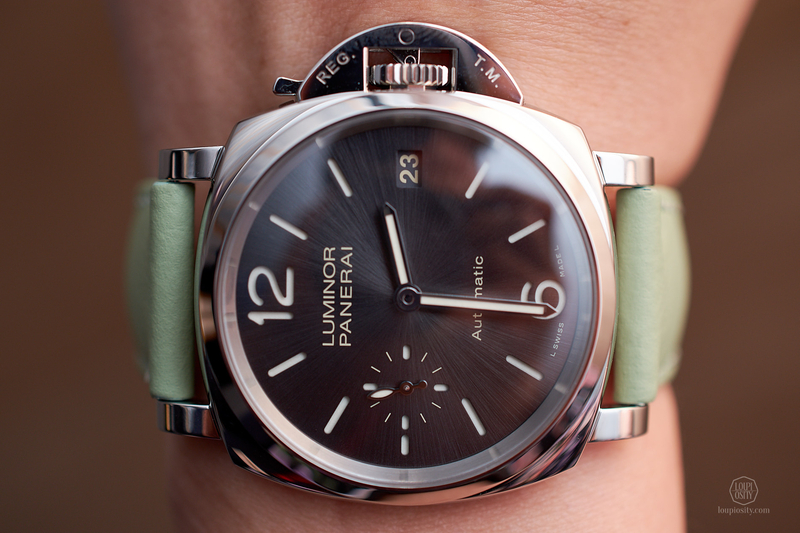 Although not communicated as such, but with the new 38mm Luminor Due the company continues to broaden their customer base by being more attractive for ladies. The other trend is the adaptation of additive manufacturing at an industrial scale. 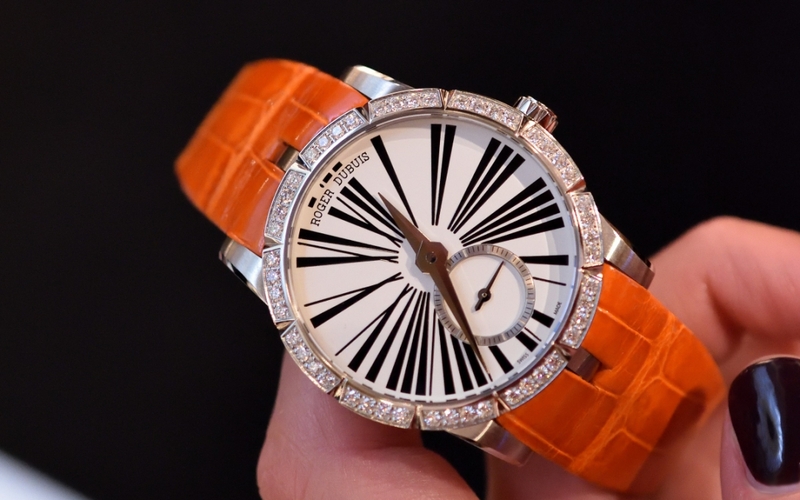 With this, they could be more of a trend-setter in the fine-watchmaking space. 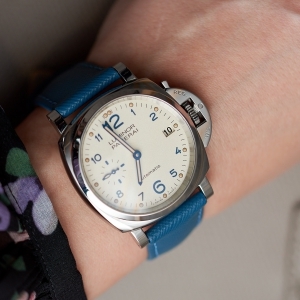 Officine Panerai has been a brand with a spirited fan club. Members were almost exclusively men up until recently. In 2015 the brand started to reduce the sizes of the timepieces and introduce new colours (see the Radiomir 1940 3 Days showed in Hong Kong or the Luminor Due 3 Days Automatic Oro Rosso we saw in Munich). With this they opened the door to women who feel perfectly secure without fairies. We wowed for this back then and with the new Luminor Due 3 Days the trend seems to be continuing in 2018. 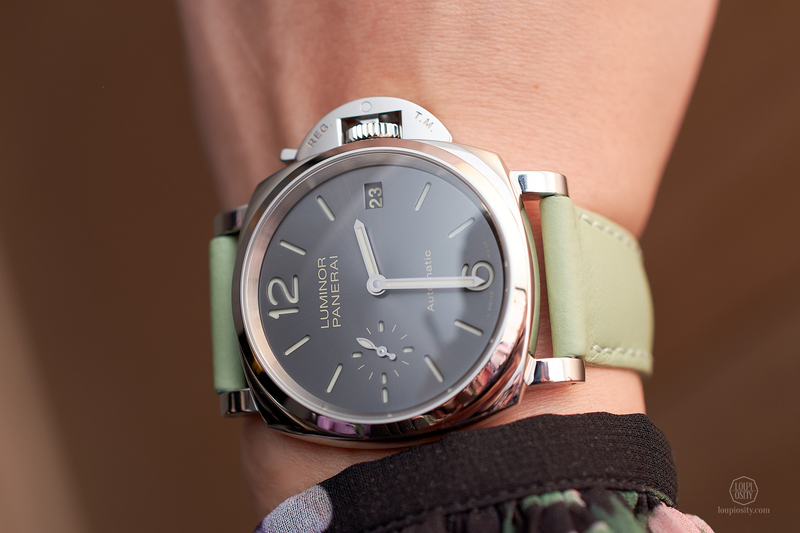 With the new collection, it is the first time that Panerai entered the sub-40mm dimension – or at least I don’t know of any other model in this size. Two AISI 316L steel novelties appeared in both 38mm and 42mm sizes and two additional 5NPt red gold (which is Panerai’s alloy with a higher percentage of copper) in 38mm. 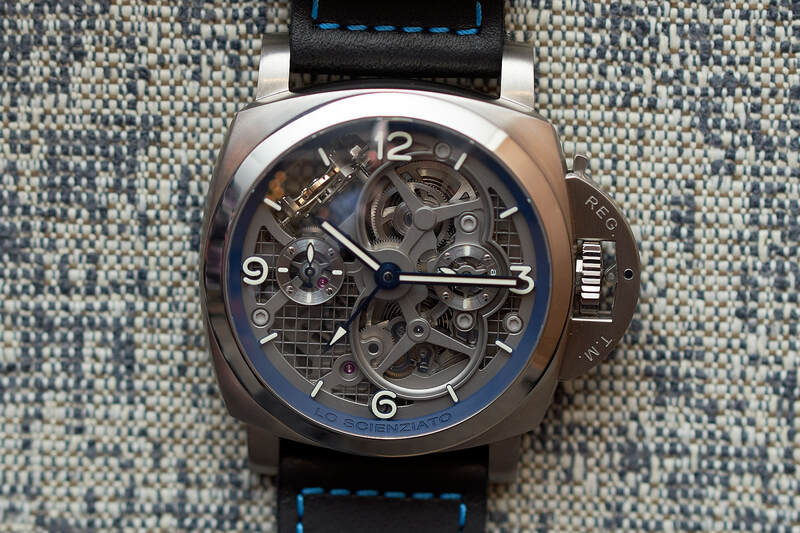 All models share the OP XXXIV manufacture calibre, a 4 Hz time and date automatic movement by Panerai. On a side note, from 2018 onwards Panerai delivers all its models with in-house movements, exchanging the ETA calibres in the Luminor Base Logo and Luminor Marina Logo series also for a new in-house P.6000. 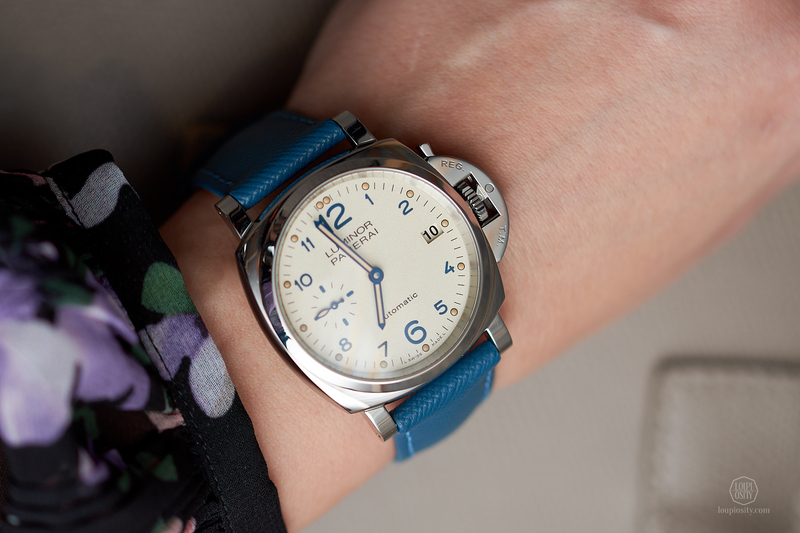 This is the first series of Luminor Due 3 Days watches that have a date function at 3 o’clock. 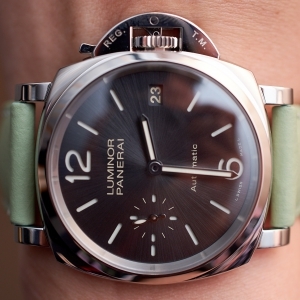 It is even more remarkable knowing how important design balances at Panerai are. The new 38mm models keep the same OP character in a noticeably smaller size. Two years ago, the company presented the 150-piece limited Lo Scienziato or “The Scientist” – Luminor 1950 Tourbillon GMT Titanio, Special Edition. The bold model was even more interesting due to the fact that the titanium case was directly 3D printed. 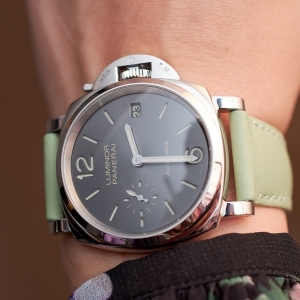 Panerai now launched an unlimited series of the Lo Scienziato created with the same technology. 3D printing is an exciting and emerging technology, which is already widely used in certain industries. It is also called additive manufacturing, because you print from a base material stored in a cartridge in powder form. The shape is designed with CAD (Computer Added Design) software and the printing process is also controlled by a computer. The material can be not just plastic or plastic + metal compounds but pure metal too. Thus it is possible to print a wax mould and fill it with metal, which remains after burning out, or directly print the end-product from metal powder. Although they are production alternatives, a huge advantage of 3D printing as opposed to CNC milling is that it produces much less waste and requires less energy. Additionally, since 3D prints are built layer-by-layer, new complex shapes are possible – designers can leave out spaces for joints and the entire piece can created at once with moving parts. In the case of the Panerai Lo Scienziato, the case was 3D printed from titanium powder with hollowed areas to lighten it even further. Each layer of smoothened and melted powder is 0.02mm thick, which means a 12mm case would be cast in 600 laser beaming steps. The rest of the movement and bridges were traditionally produced. 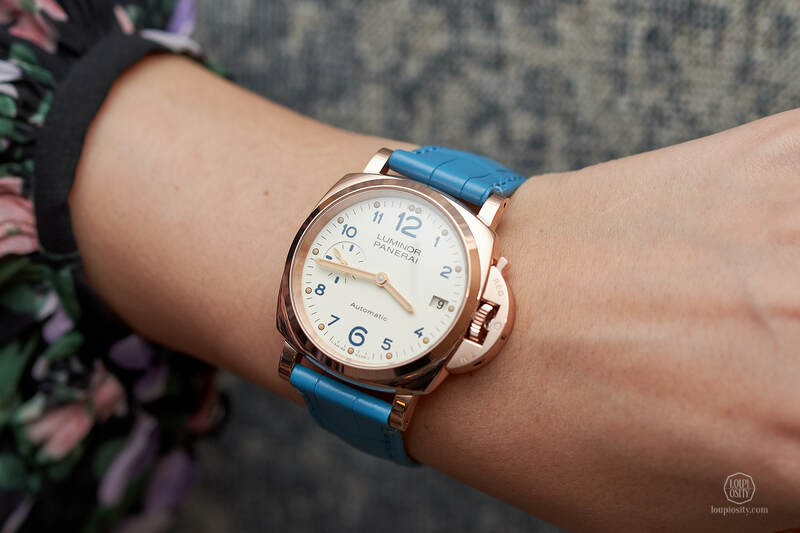 The design of new Panerai Lo Scienziato is slightly different from the 2016 limited edition, thanks to the blue tones on the dial and the strap. 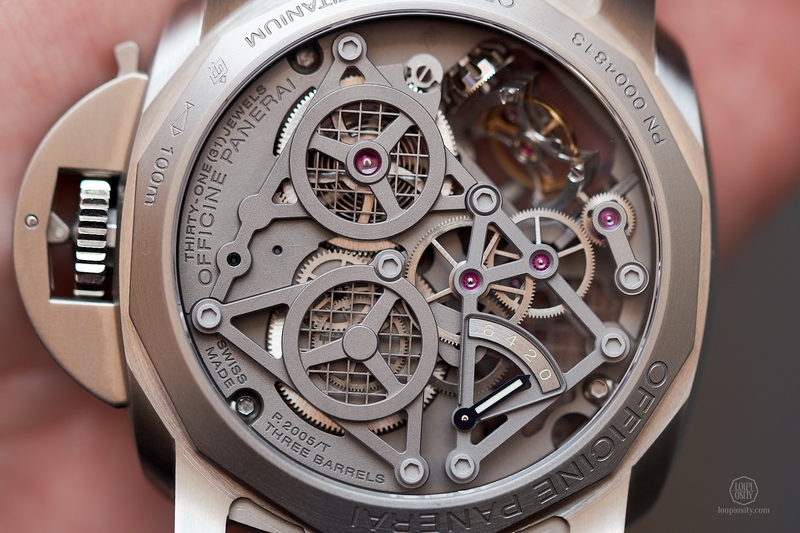 The movement is identical: P.2005/T skeletonised and with titanium bridges and plates. The 6 days power reserve is guaranteed by the 3 serially connected barrels. 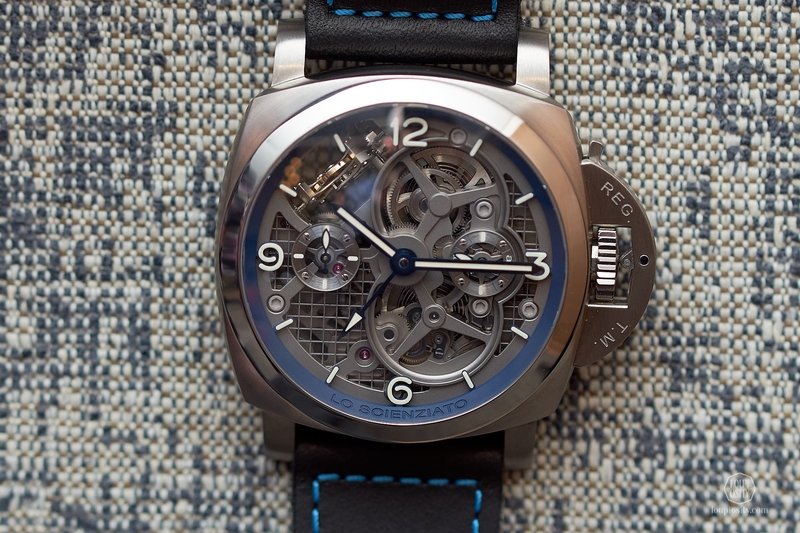 The tourbillon cage rotates on an axis which is perpendicular, not parallel, to that of the balance, and it makes a complete rotation every 30 seconds. Although many watch companies are using 3D printing, so far they have used it for prototyping or cast the mould from wax and not the metal directly. The technology opens a lot of new possibilities and Panerai is among the pioneers in this sector to build an entire collection around it. Panerai and the America’s Cup As the Official Watch Partner, Officine Panerai introduced the America's Cup limited edition timepiece and dedicated watches to Oracle Team USA and SoftBank Team Japan. BOLTENSTERN 3D printed jewellery BOLTENSTERN, the celebrated jewellery of the 70s and 80s from Vienna, is today a pioneer in CAD design and 3D printed precious metal jewellery. We met Marie Boltenstern. “Girls don’t just wanna have fun” – Part 12,… On our quest to showcase mechanical and artistic wonders designed for women, I visited Munichtime and found models that ladies will surely fall for.